Infraline Building, 4th Floor, A - 31, Block A, Sector - 3, Noida - 201301, Uttar Pradesh , India. 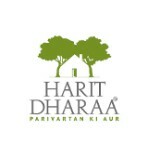 Since 2012, we at Harit Dhaara have had the privilege of providing families with an opportunity to progress into the next stage of their lives and into, new homes, societies and desirable plots. We do not just build living spaces and freehold plots; we establish homes in some of the most desirable Locations where people create memories. Our projects and establishments include and cater to all lifestyles; be it urban or suburban projects. Harit Dhaara is now one of the most developed and prolific providers of social infrastructure and is continuing to grow in structure and strength. We take pride in our efforts of meticulously paying attention to the needs of our customers and making sure to specialize in delivering ambitious and innovative construction projects that add value to both the client as well as the community by providing possession ready real estate. We, at Harit Dhaara offer portfolios of capabilities that encompass design and project management right through to the point where they both combine and serve a range of market segments including education and commercial buildings. The experience and knowledge of our Directors and Senior Staff ensures that we make sure and deliver an innovative “Total Building Solution” for each of our clients, focussing on excellence and attention to detail on every project. We continually invest in our most important asset i.e. our customers and are committed to enhance our collective Intellectual Property through continuous professional development and training, research & development in new constructions and smart technologies. In addition to all this, inculcating new initiatives in our plots and projects and aspiring to become a socially responsible group which values the communities in which we work, are an integral part of our CSR policy. Also, central to our ethos are our core pillars of Health and Safety & Quality and Environment, each supplemented by the International standards of the respective areas. Harit Dhaara displays a certain set of unique corporate values which makes us inclined towards maintaining the fact that we are an organization that chooses our strategies and goals with a structured approach, which in turn leads us on to integrity and commitment to uncompromising standards of safety and sustainability.